In our kennel, we have seniors, sires, females, young talent and a number of promising puppies. Of course we do not have them all at our home. That would mean we could not give every dog the attention that is needed. 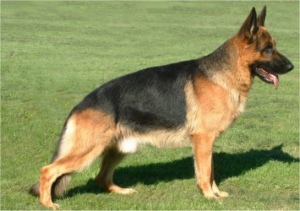 A number of dogs are housed with other people in a co-owner construction. Sometimes we would like to keep a puppie, but we do not have enough time or place for another young talent. In that case we try to find someone who is willing to raise and train the dog so that the dog is getting all the love and attiontion it needs. Co-ownership is not something you should take lightly. You must be willing to invest a lot time in fully training the dog. Just like with full ownership, the co-ownership will also bring along costs (vaccinations de-worming training etc) We will make a clear written agreement with the co-owner about all these matters. We have good contacts with top breeders in various countries, and a lot of experience in transporting dogs around the world.